Zach Hinkle is a Genesys Solutions Product Manager in the Product Management organization in PureCloud. 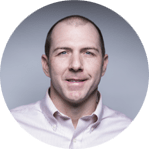 He is a 12-year veteran with Interactive Intelligence with roles in the Support organization, Strategic Initiatives Group, and most recently in the Solutions group for PureConnect (formerly CaaS). He came to Genesys through the ININ acquisition in December 2016.